You will see a message like this in the chat window if you’re a group member who can only receive messages but can’t reply back in the group. 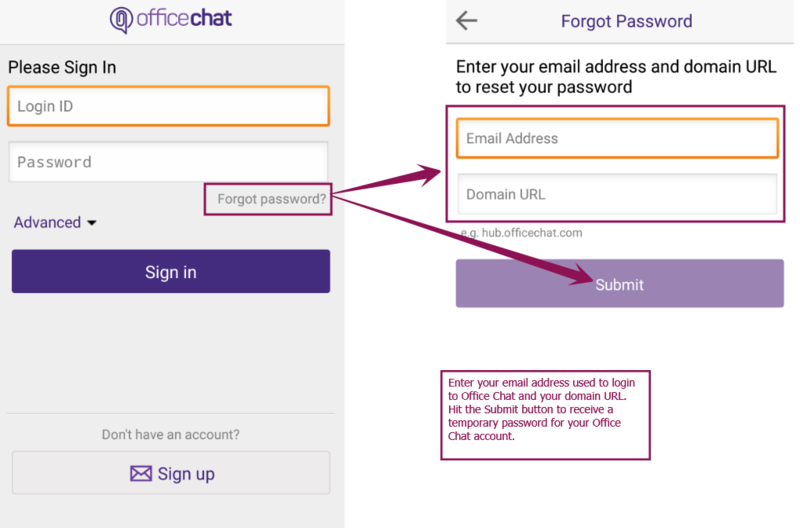 How to test connectivity for your Office Chat Windows? 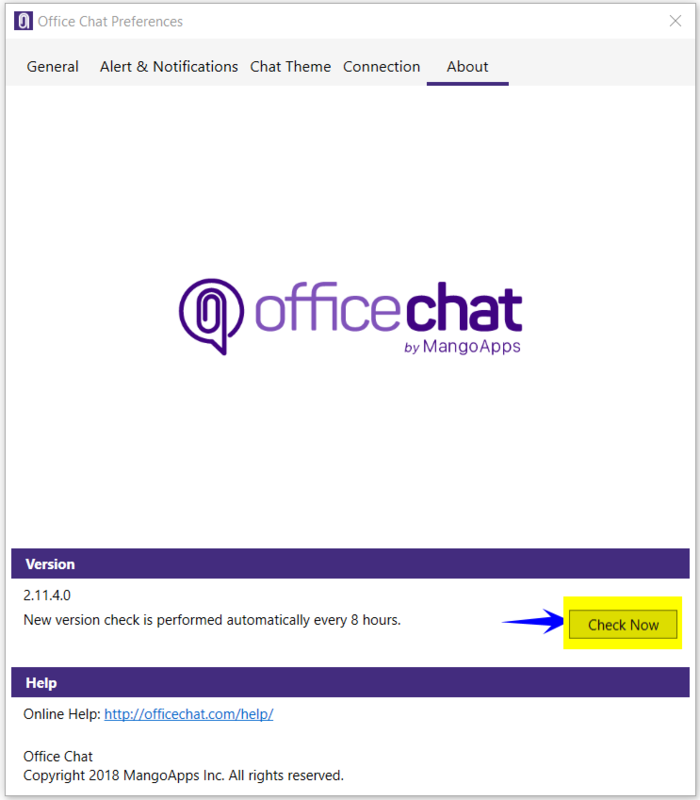 Launch the Office Chat app and open the Office Chat Windows app preferences window (Preferences Settings > Proxy > Check Now) to check the real time connectivity with the Office Chat server. How to search messages in a group/private conversation? 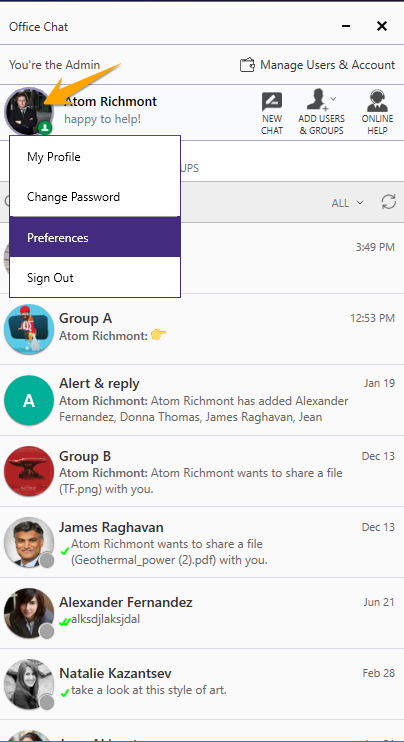 A user can search a message in a group/private conversation in Office Chat Windows app. 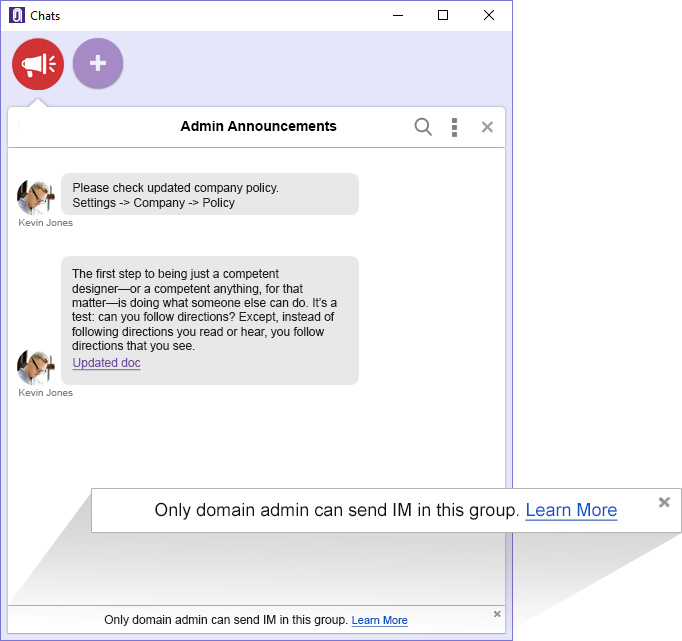 Once user enters the search text and clicks on “Search on Web” button, user is taken to a webpage which displays the chat history page of that conversation and with the search text highlighted in the results. 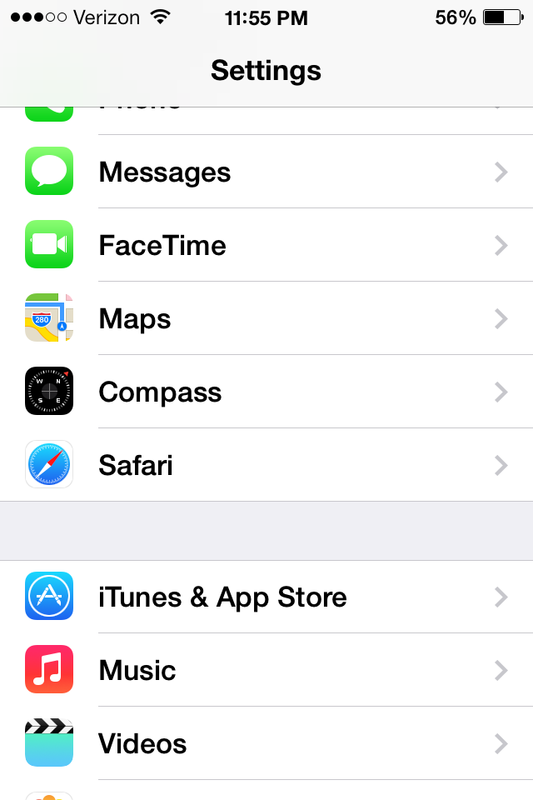 How to delete multiple messages in a conversation at a time? 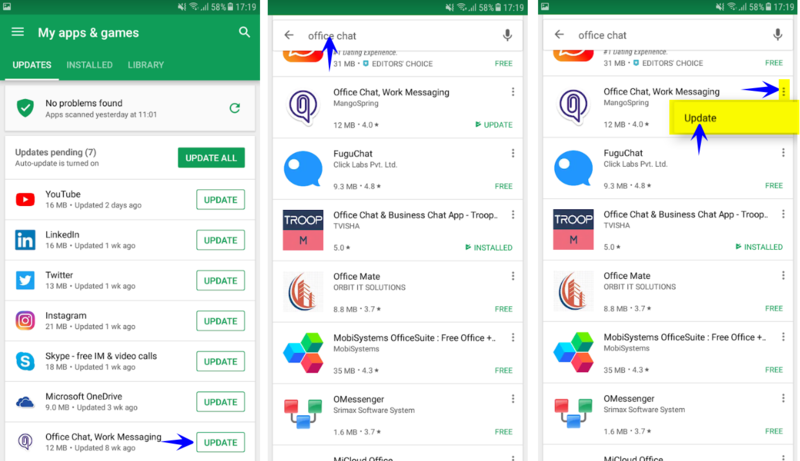 In Office Chat app, user can delete multiple messages at a time in a conversation. 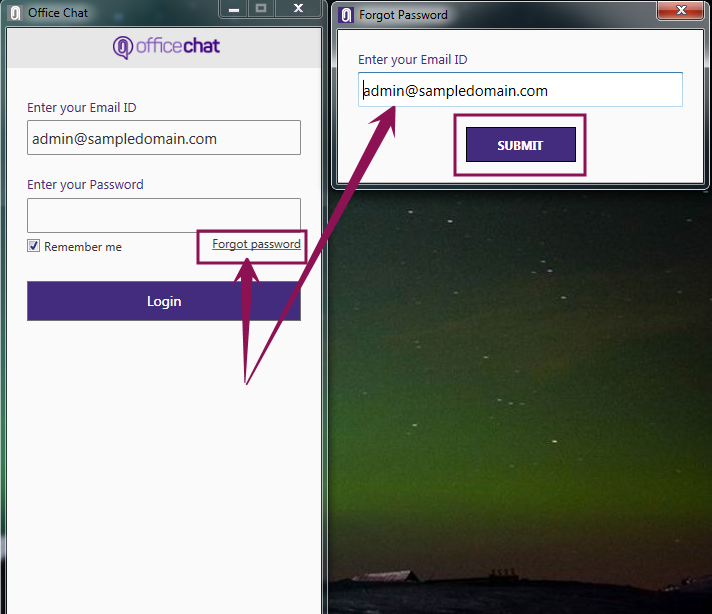 The option to delete the messages is based on the settings done by the domain admin in Admin Portal. 1. In a private conversation, a user can delete his/her own messages only. 2. 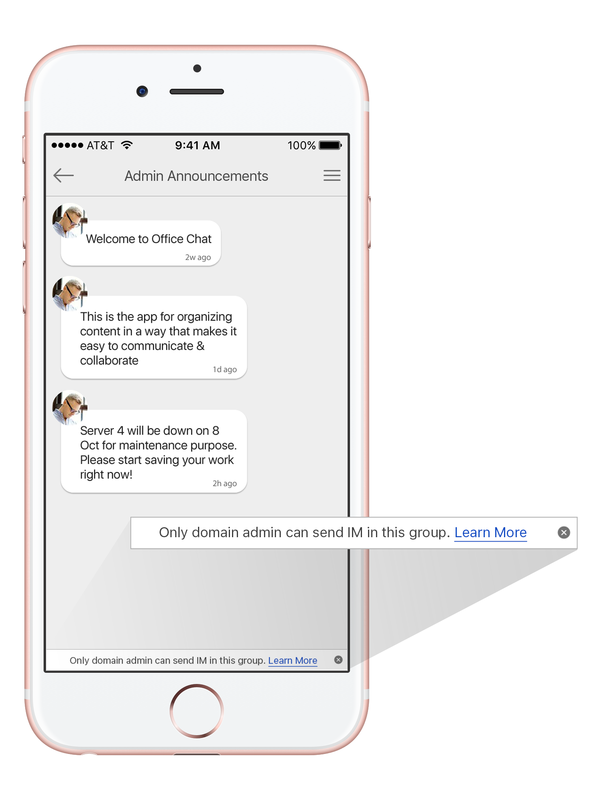 In a group conversation, if the delete messages setting is set to “Only group admins & network admin can delete messages” OR “User can delete own messages” and the logged in user is either a group admin or a network admin, then that user will also have the facility to delete all messages via “Delete All” button which is at the top right corner of the chat window. 3. In private as well as group conversations, any message deleted gets removed for all members of that conversation. 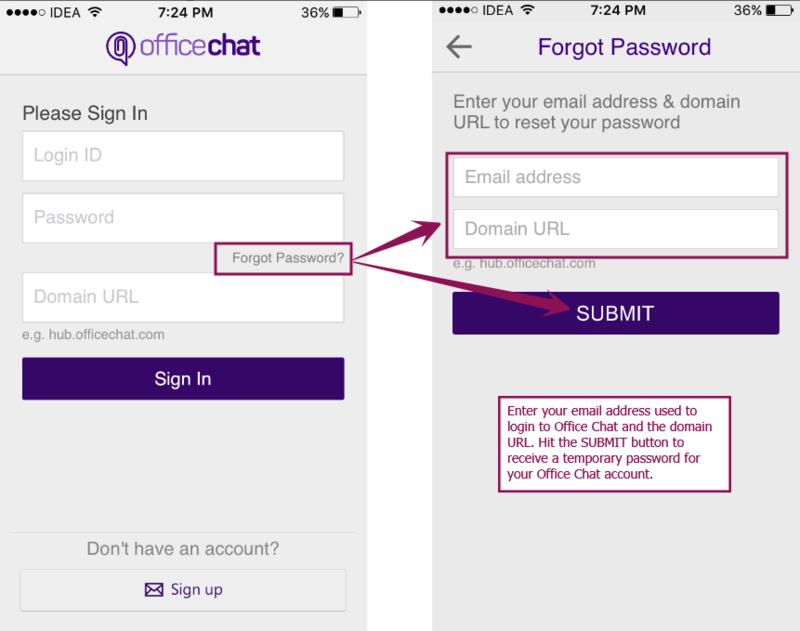 How to configure chat themes in Office Chat? 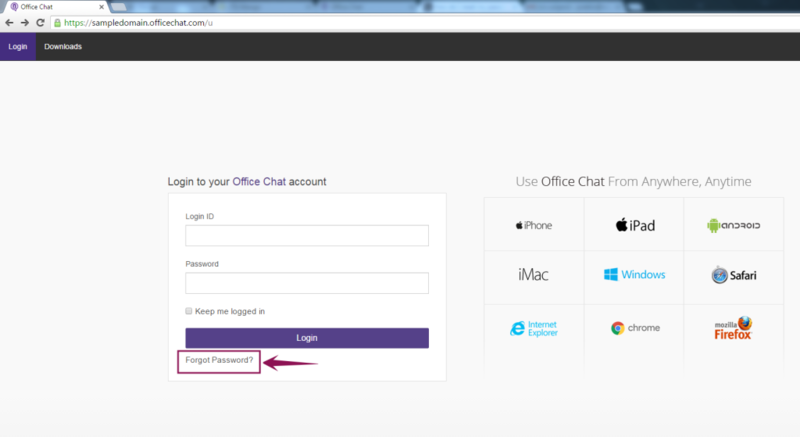 Users can set different chat themes in Office Chat Windows application by navigating to Preferences –> Chat Theme tab. 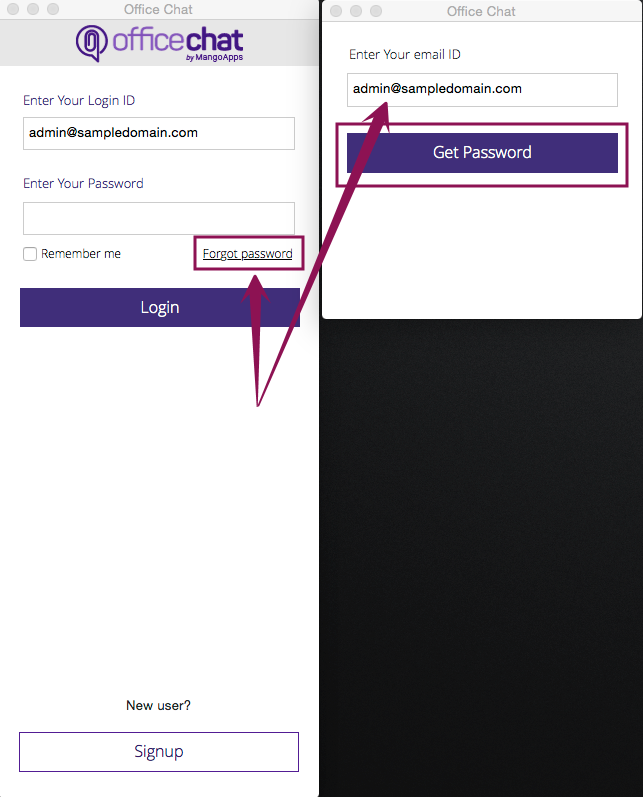 Users can then select the size of the font, text color for sender & receiver and bubble color for sender & receiver. 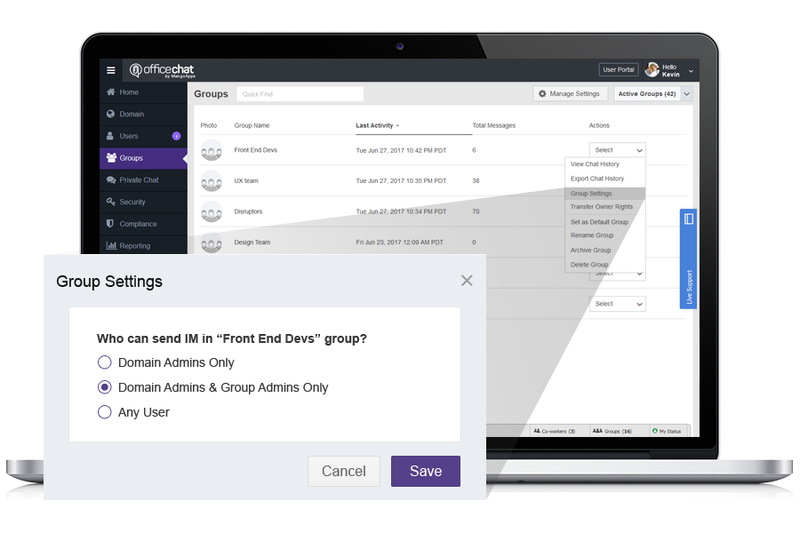 Users simultaneously can have a preview of how the conversation screen will look with the selected set of theme properties. How can I filter my view of co-workers & groups? Click on the “Co-workers & Groups” tab. 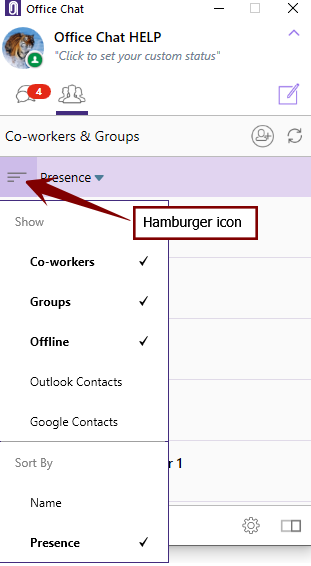 Click on the three lined hamburger icon next to the title “Presence”. 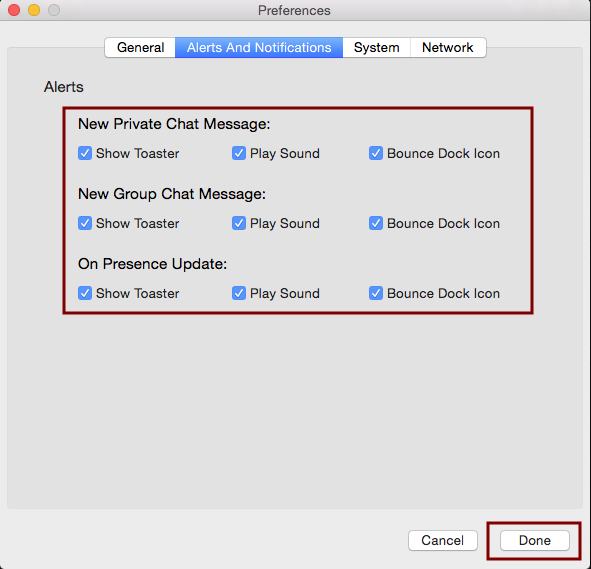 How do I enable and manage my message & sound notifications? 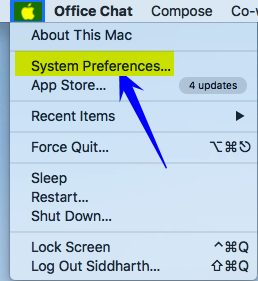 On Office Chat main window, click on the profile icon and then click ‘Preferences”. In case you want the chat window to open automatically when a new message arrives, please check the checkbox “Open chat window on new message” on the Generals tab. 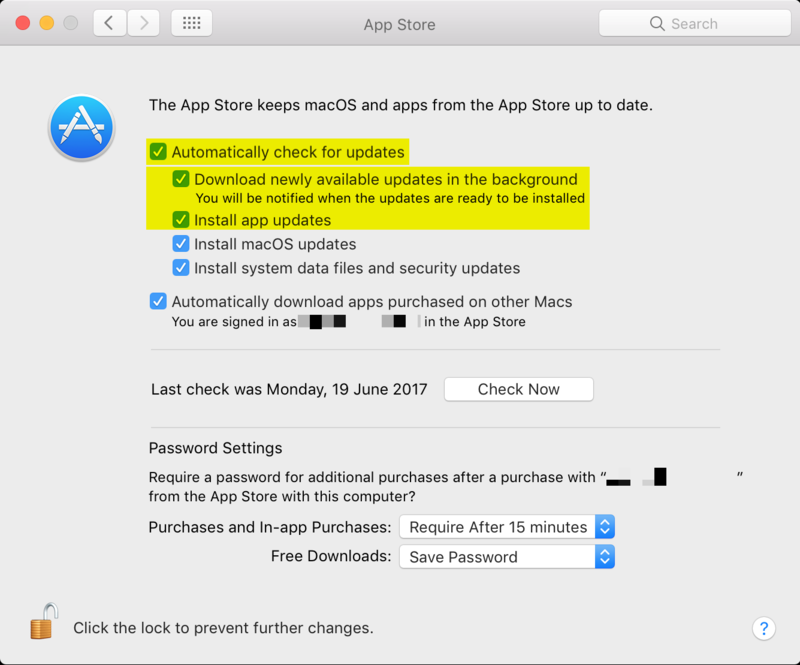 Click OK button to save the settings. 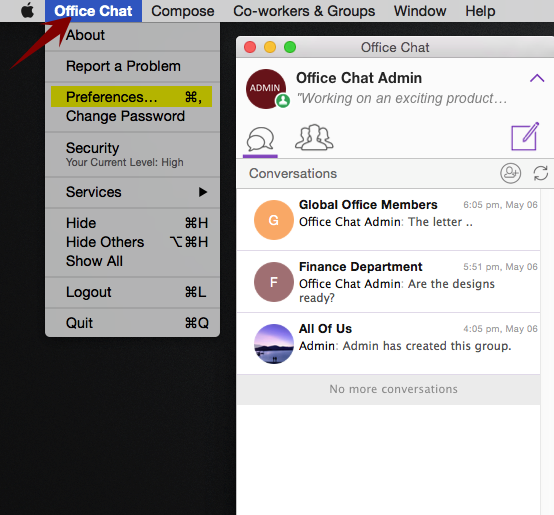 On the top bar menu for Office Chat, click on “Office Chat” and then click ‘Preferences”. 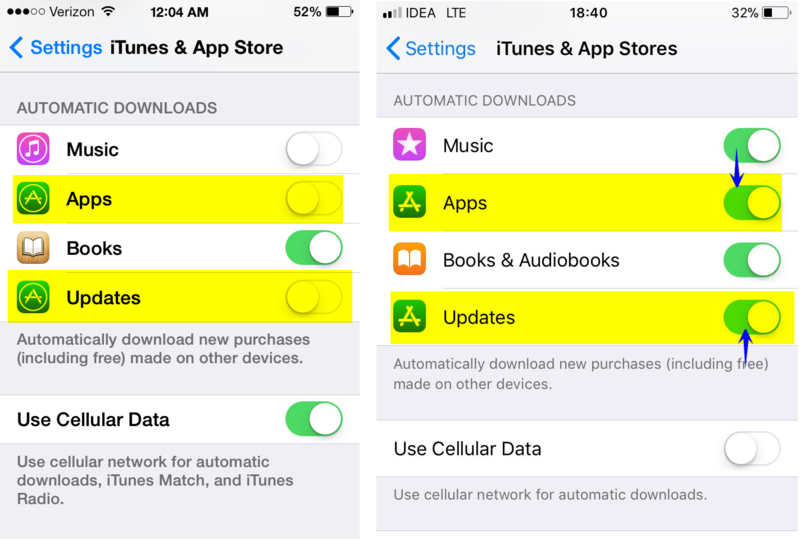 Then, navigate to ‘Alerts and Notifications’ tab and check the relevant boxes to turn ON/OFF the notification and their sound based on your preferences. 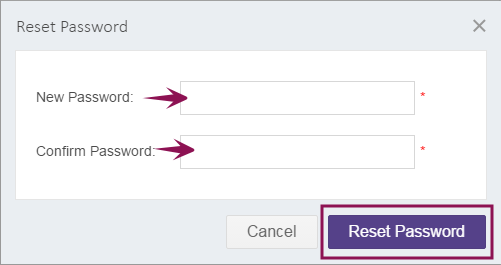 Click Done button to save the settings. 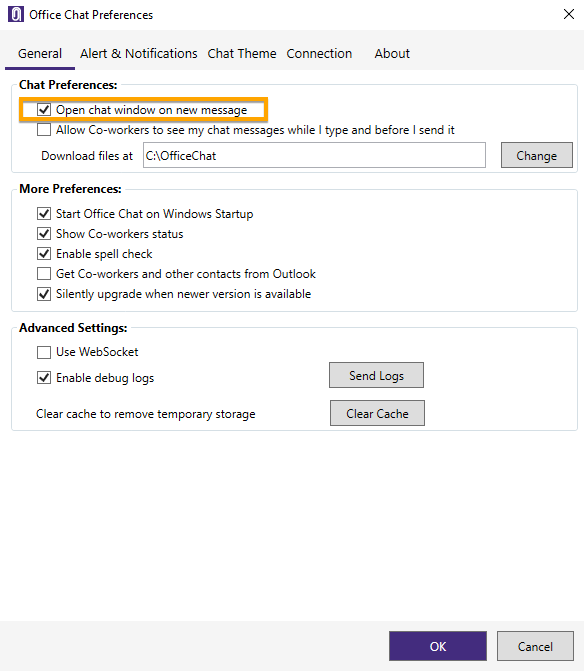 In case you want the chat window to open automatically when a new message arrives, please check the checkbox “Open chat window on new message” on the Generals tab. Click Done button to save the settings. Can I change the view of my coworkers & groups? 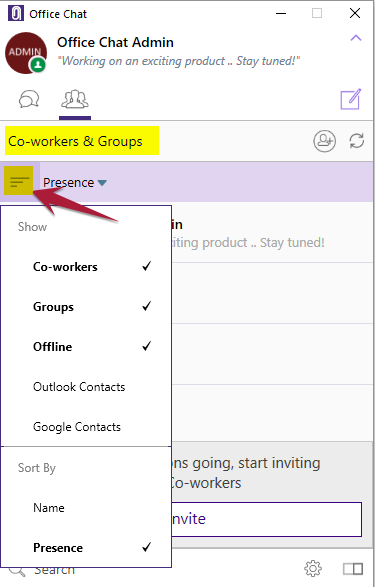 Click on the “Coworkers & Groups” tab. 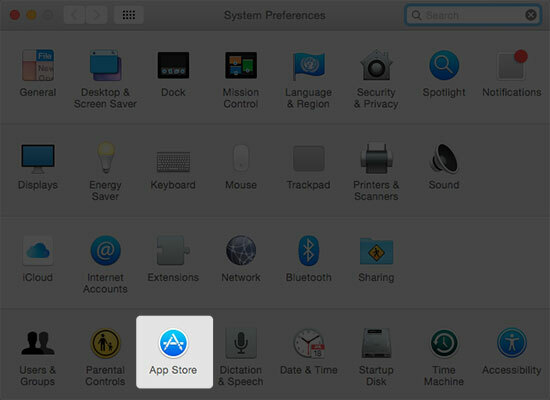 Click on the three lined icon hamburger icon) on the left.